French-Vietnamese boîte Le Colonial relocates to Oak Street. : This French-Vietnamese boîte has planted roots at a ritzy strip dotted with high-end boutiques. 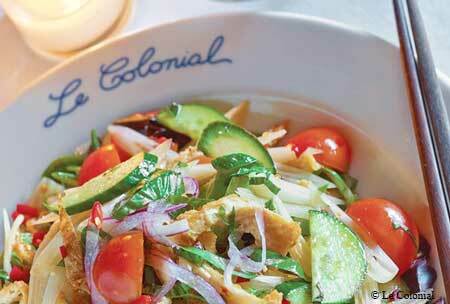 Le Colonial had a 22-year run on Rush Street, only 150 steps from the new location. Executive chef/partner Quoc Luong refreshed the menu with seafood and meat dishes enhanced both in flavor and presentation. Look for more than 200 global wine selections, including Le Colonial 2017 AOC Côtes de Provence Rosé created exclusively for Le Colonial by French producer La Cave du Lac.